This apparent adult male LAZULI BUNTING was photographed in Corner Brook – marking the first record of this western species for Newfoundland & Labrador. Record Details: One (very unexpected) record for Newfoundland – an apparent adult male was photographed in a backyard in Corner Brook on September 10, 2013. While it was seen only briefly and never refound, the description and photo are both convincing. 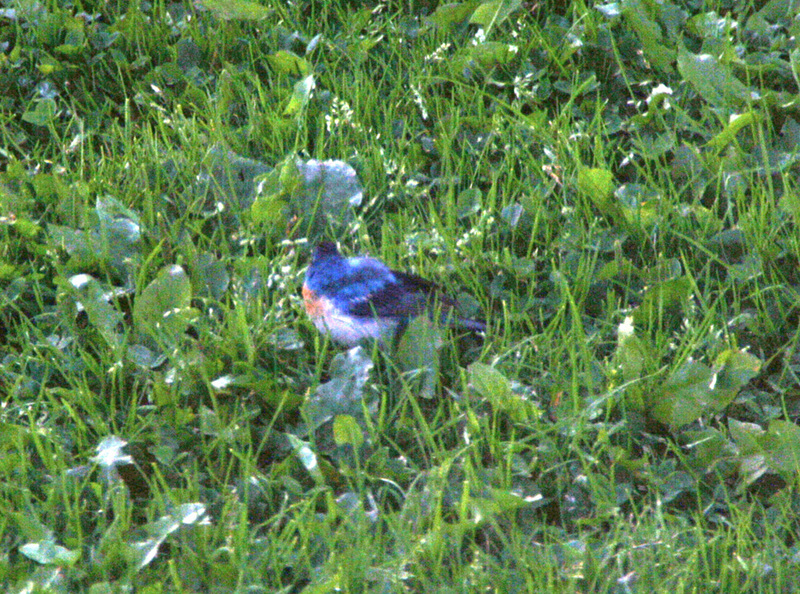 (While a potential Indigo X Lazuli Bunting hybrid cannot be completely ruled out, the photo shows nothing to suggest that).